Maya Gottfried, author of Our Farm, was kind enough to send me a copy of her latest book. 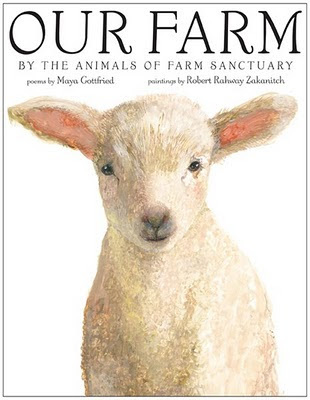 Beautifully illustrated, the book is a collection of poems, each one capturing the personality of some of the animals at Farm Sanctuary. Other than a note in the back to parents, the book does not get into why the animals are at the sanctuary but instead celebrates animals as unique individuals. As such, the book allows parents to discuss animal rights on their own terms, or just enjoy a book that respects animals with their kids.